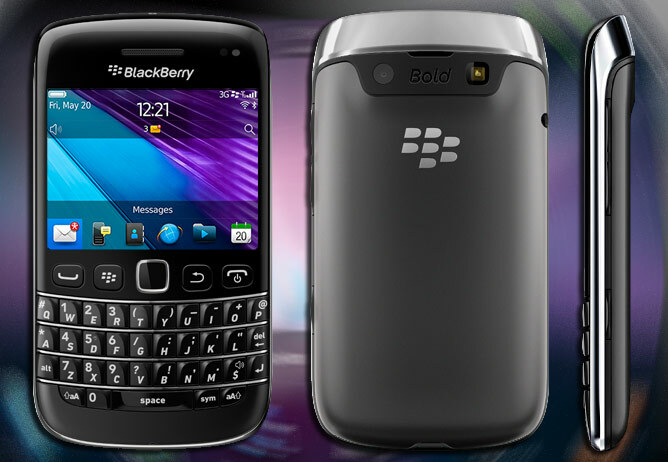 We already gave you the BlackBerry Bold 9790 numbers on Friday, when we published our review, but now we are going to focus on how does it do in comparison to the other smartphones we have tested so far. 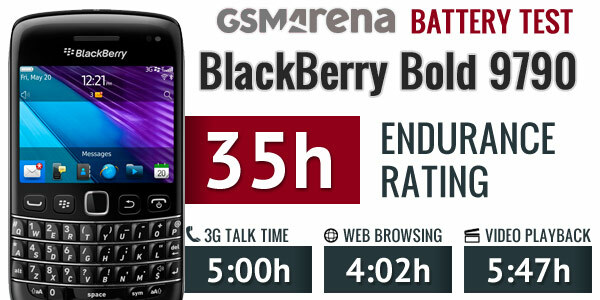 The test started with talk time and quite a big disappointment as the BlackBerry Bold 9790 achieved just 5 hours. That’s the least impressive score we have seen so far, but it’s not far off RIM’s own estimates of 5 hours and 20 minutes. Web browsing came in second, but we didn’t get to see a major improvement in the performance of the Bold 9790. After enduring 4 hours and 2 minutes of our automated script the Bold came in 18th out of 22 tested smartphones – an improvement over the talk time test, but hardly a huge one. The last individual test we do is video playback and that’s where the BlackBerry Bold 9790 got its best result. 5 hours and 47 minutes of endurance secured it a nice mid-table position, though it’s obviously closer to the back of the pack than the front. We didn’t really expect miracles from the BlackBerry Bold 9790 in our overall usage test on the back of the poor form demonstrated in the individual challenges. In fact, the 35 hours it got were more of a nice surprise, showing some excellently effective stand-by. The Bold still fell four hours short of the Curve 9380, though, so it’s hardly the most endurable phone you can imagine.